Everyone grew up knowing fairytales. There were the classics like Snow White and the Seven Dwarves, Aladdin or Hansel and Gretel. This was my childhood, and I was probably one of the most dedicated. So, as if to spurn on this childhood obsession, a TV show called Once Upon A Time has been my fix lately. This show is an adult version of every fairy tale in the book with a unique twist to every tale. 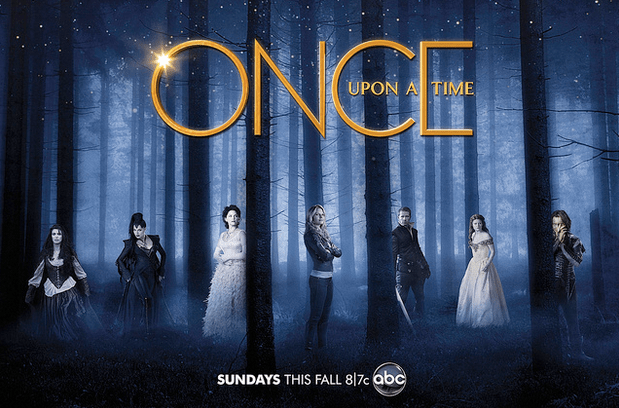 Once Upon A Time is an ABC original show on its third season. In this story, all fairy tales are part of one large story–all connected. The story goes that the Evil Queen got fed up with Snow White and Prince Charming ruling the kingdom in happily ever after. This results in the Evil Queen banishing all of fairytaledom to our world with a curse, where they forget who they are and take up new lives with everything upside down. With this curse in effect, there is only one person who can save everyone, and that is Snow and Charming’s child who was sent away for safety, in hopes she would return and save everyone. One consistent underlying theme of this show is faith. Throughout the development of the story and the individual lives of the characters involved, each character is tested and pushed to take a leap of faith. They are forever having to put faith in something they cannot see or even in someone that has failed them before. One of the main characters, Henry, is a little boy who has unshakable faith, representing the childlike faith everyone had at some point in their own life. His faith is in love and his family, and his naivety is beautiful because he believes that the good in people can prosper over anything. Another constant theme is redemption. After each episode, there is some sort of redemptive aspect to the story. While the humanity in each character is shown by some failure or shortcoming, there is always a moment when they can choose a different path to forgiveness. As the plot progresses the writers pull the audience in with a love for the characters because of their imperfections and humanity but also because they can be good, and sometimes that is the path that they choose. The Evil Queen, aka Regina, is a regular portrayer of this quality. The writers wanted the audience to hate her character because her actions cause chaos and unhappiness to the people around her, but then her character starts to develop and reminds the audience that even really bad people are capable of change. The positive thing about this show is that it connects people to their past. It reminds them that fairytales are what taught us to believe in silly things like true love, Prince Charming and unrealistic expectations of hair. The negative thing is that it is addictive and has twists that will give you a heart attack. But I recommend it, if only to stare at Captain Hook and admire.